An audit of departmental spending has been undertaken with savings to come from eight departments. A TOTAL OF €24 million will be drawn down from the health capital budget across both 2019 and 2020 in order to meet the shortfall in the funding for the National Children’s Hospital (NCH). Briefing the media on what departments and projects have been raided due to the ballooning costs of the hospital, Finance and Public Expenditure Paschal Donohoe failed to outline what specific health projects would be impacted. Throughout the year, the minister said he would explain “how we are going to fund it [the hospital]” from the €24 million draw down. He added that he will work with the department on what projects will be affected over the coming year. A spokeswoman for the Minister for Health said in health, the proposed approach to managing expenditure within 2019 limits will be a “re-profiling of €24 million and the impact will be restricted to delivering some smaller capital works such as repairs and replacements over a longer period of time”. They added that no hospital project will be delayed or cancelled because of the draw down. There will still be an allocation of over €70 million to this area in 2019, a significant increase on the 2018 provision. As the Taoiseach and the Minister for Health have consistently said, the impact is manageable within the overall capital budget. It is now clear that, contrary to the scaremongering we have heard, we are not talking about delaying or deferring any hospital project, we are not talking about any primary care centre and we are not talking about any community nursing unit. Where else is the money coming from? Funding from the arts, climate action, and flood defence will also be drawn down to meet the shortfall. In a statement this evening, the Department of Culture, Heritage and the Gaeltacht said that it is confident that it will manage the flow of liabilities maturing in 2019 in line with the resources available. Donohoe said that as it currently stands, the cost of the new hospital is estimated at €1.7 billion. He added that he would be “extremely concerned” if that was to change, but said the new chair of the hospital board is due to update the government on any future changes to the final bill. Speaking in the Dail today, Varadkar said the government is “re-profiling” €100 million from this year’s capital budget of €7 billion. “The largest single deferral, which is not a deferral in reality” is the €27 million assigned for the A5 roadway, which he said is already delayed due to the Stormont stalemate. That payment is now not due this year, he stated. In relation to funding coming from flood defence, a spokesperson for Minister of State for the Office of Public Works and Flood Relief Kevin Boxer Moran said he was “very happy to act in relation to the children’s hospital”. They stated that the minister is “very confident” that the €3 million from flood defence will not impact on projects committed to in 2019. Before Christmas, Taoiseach Leo Varadkar flagged that the health capital budget would be raided because of ballooning costs of the new children’s hospital. Varadkar and Donohoe have been at pains to state that there will be no cancelled projects, cutbacks or material effects, but only a “reprofiling of payments”. Donohoe said the capital projects the health minister and other ministers are committed to will be happening – however, when pressed on what projects will be impacted he said “key” projects will be delivered. 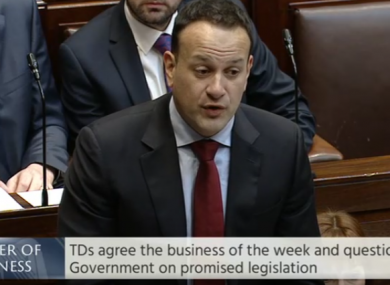 In the last week, a number of TDs have questioned what projects are on the hit list, with the Taoiseach and Tánaiste giving reassurances in relation to a number of projects such as the M20 motorway between Cork and Limerick, which the Taoiseach said he “can absolutely” give a commitment is “full steam ahead”. Tánaiste Simon Coveney also said last week that the minister for health has made it very clear that he is committed to the second cath lab in Waterford. “It is part of the service plan for 2019,” he told Waterford TD David Cullinane. Email “No hospital project will be delayed due to children's hospital cost overrun, but 'repairs' will be pushed out”. Feedback on “No hospital project will be delayed due to children's hospital cost overrun, but 'repairs' will be pushed out”.